A fifth package has reportedly exploded in Texas, this one at a FedEx facility in Schertz, which is outside of San Antonio. 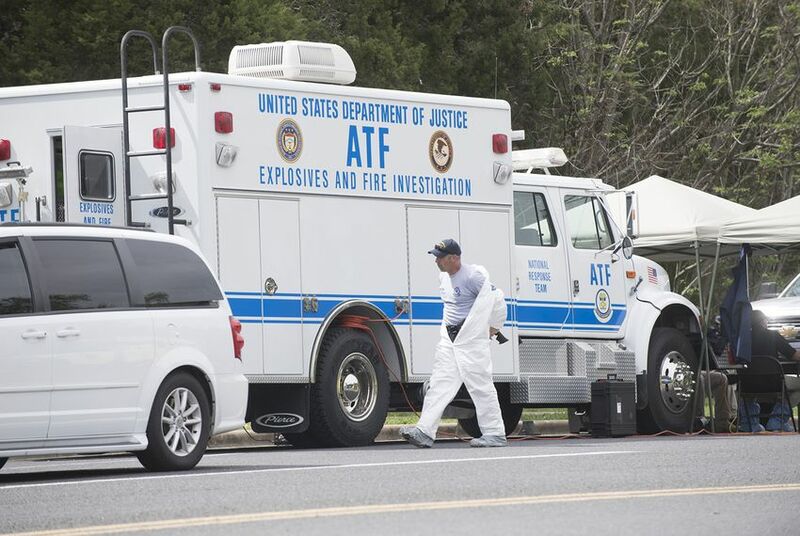 In a statement Tuesday evening, Special Agent Michelle Lee with the FBI's San Antonio field office confirmed that there's a connection between the two packages found at FedEx locations today and the four previous package explosions that occurred in Austin. "We do believe that these incidents are all related. That is because of the specific contents of these devices," said Brian Manley, Austin's interim police chief, according to media accounts. Texas Attorney General Ken Paxton said that the bomb was mailed from Austin to Austin, which has seen four bombings this month. Few other details — like when the package entered the system or where in Austin it was headed — were available. According to The Washington Post, one person was treated by medical teams at the scene and then released. In a statement Tuesday afternoon, FedEx said it "confirmed that the individual responsible [for sending the first exploded package] also shipped a second package that has now been secured and turned over to law enforcement." On Tuesday evening, U.S. Rep. Michael McCaul, R-Austin, told The Associated Press that federal authorities informed him investigators have surveillance videos in Austin that “could possibly” show a suspect for the package bombing at the FedEx facility in Schertz. Also on Tuesday, the city of Sunset Valley — a town contained within with Austin city limits — issued a public notice that the FBI was investigating "a confirmed link between packages involved in the Austin bombing investigation and a mail delivery office in Sunset Valley." No other details were released. The most recent Austin bombing occurred Sunday night and appeared to have been set off by a tripwire mechanism. Hundreds of law enforcement officials, more than 350 FBI agents, Texas Department of Public Safety troopers and bomb technicians from Houston and San Antonio are now working the case, according to local and state officials. Two people have been killed by the March explosions and four others have been seriously injured. Police believe the attacks are related. Police noted, however, that there were differences in the attacks. The first three bombings in Austin were all detonated on the east side of Austin. The attacks appeared more targeted — packages were left at specific houses. The victims were people of color. Sunday night’s explosion seemed less targeted, investigators said. The victims were two white men in their twenties. Investigators said they didn’t know what the motive was for the attacks. “We don’t know why the bomber is doing this, we don’t know his reasons,” said Christopher Combs, special agent in charge of the FBI's San Antonio field office. Officials are offering a $115,000 award for information that leads to the arrest of the person or people responsible. Abbott also released $265,500 in emergency funding on Monday for Austin police to buy seven bomb-detecting x-ray systems. “I want to ensure everyone in the Austin region and the entire state that Texas is committed to providing every resource necessary to make sure these crimes are solved as quickly as possible,” Abbott said in a statement. After fourth bombing, Austin police believe they're dealing with a "serial bomber"